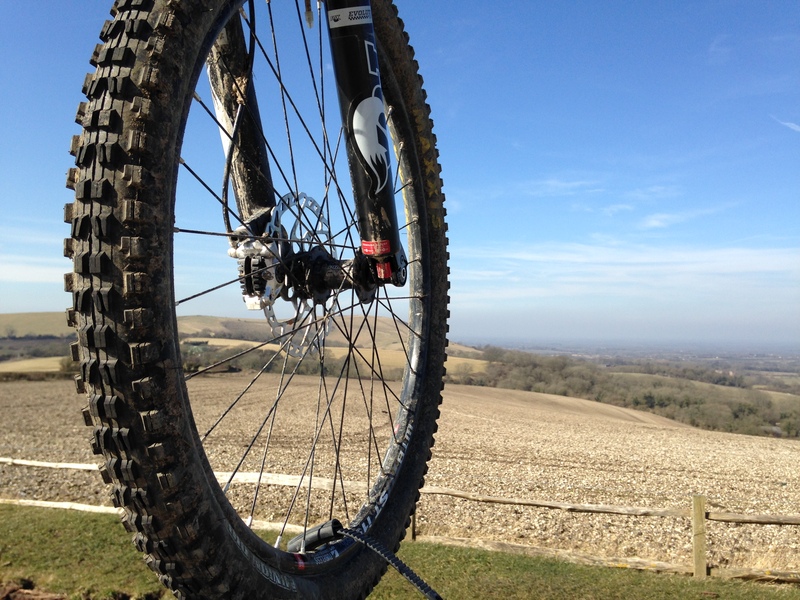 Well it is 3 months since I last rode off-road – it’s crazy how times passes so quickly – and what a stunning blue sky to welcome me back! The view above is from where I parked at the Jack & Jill Windmill car park – looking west. What the photo does not give is a feel for is the strong cold SW wind – it almost blew the bike off the roof rack as I was undoing the clamp. 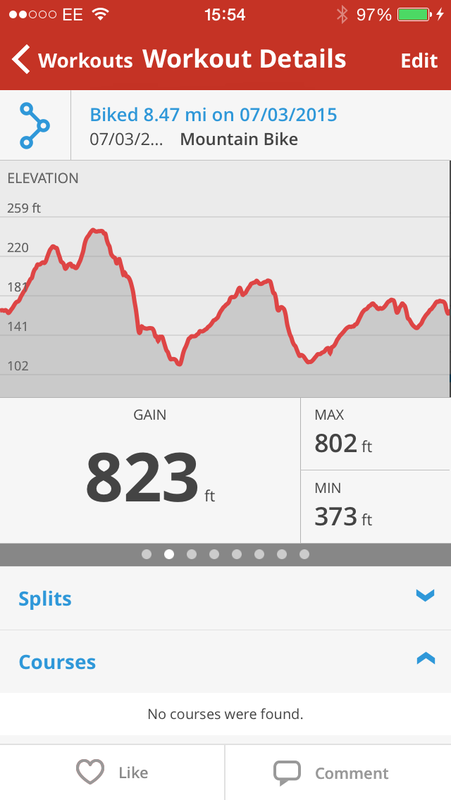 No heroic ride today, just one to get my legs working, check out my body repair and try and work out the bronchial wheeze and cough that has been plaguing me for months. 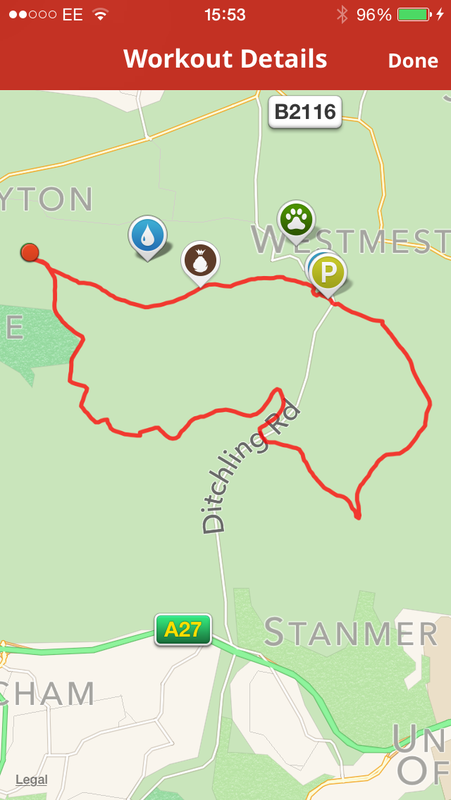 So it was east first, sort of wind assisted when it wasn’t trying to blow me sideways and off – over to Ditching Beacon on the SDW, then off down to the edges of Stanmer Park. Coming back I picked a route with a few small climbs and descents. At times the wind was so noisy and chilly it was hard to just think, and then down in the valleys, bathed in sun, it was soul warming. Statistics: Last wet ride out my Heart Rate Monitor gave up the ghost (it drowned) so today I was trialing an new GPS based speedo that also captured HR. To see how it fared I also ran MapMyRide on my phone. 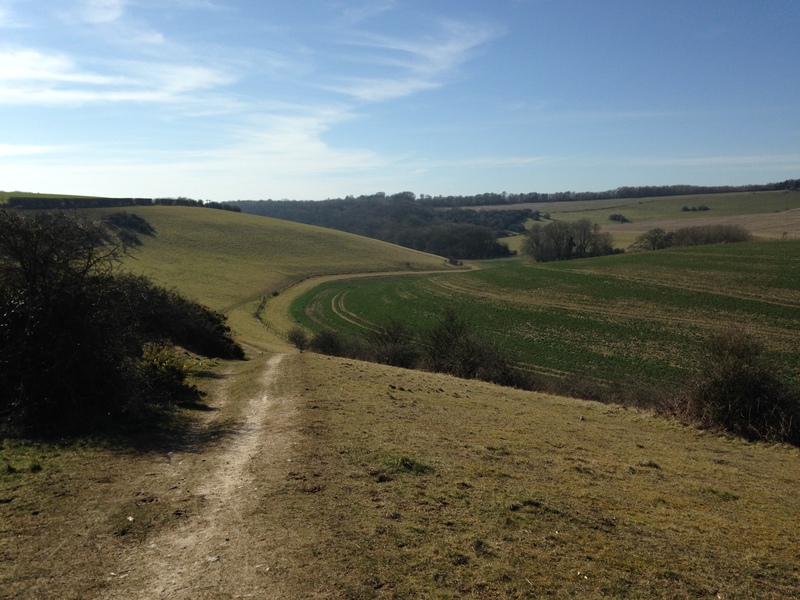 One recorded me cycling 8.17 miles and climbing 367m – the other had me riding 8.47 miles and climbing 250m – oh well – it was fantastic to be out again! Maybe out tomorrow as well – fingers crossed.